Felipe was born in Brazil but was raised between his native country and The United States. He has earned a Th.B from Seminário Presbiteriano do Norte and an M.Div from Reformed Theological Seminary. 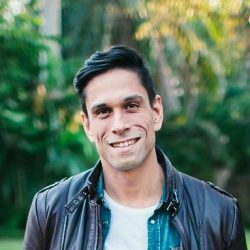 Felipe has previously founded and pastored two other churches in Recife — Brazil and in 2008 he moved to Miami at the invitation of Redeemer City to City with his wife Beth and two young children to plant Crossbridge Church and serve as a catalyst to a gospel movement in Miami. Beth holds masters in mental health psychology and international education and deeply compliments Felipe in ministry. Together they enjoy life in Miami with their three daughters, Ana, Zoe and, Camila.